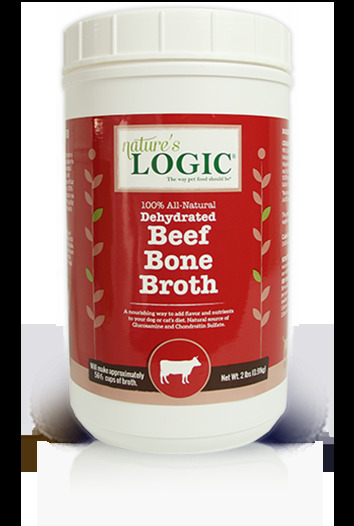 Nature’s Logic® Bone Broth Powders are a delicious way to add flavor and moisture to your dog or cat’s diet. Containing natural trace minerals and other nutrients, our Bone Broth Powders add nourishment that supports your pet’s entire body. Our 100% all-natural Bone Broth Powders contain no gluten or synthetic ingredients. We highly recommend adding hydrated Bone Broth Powder to all of our dry foods.